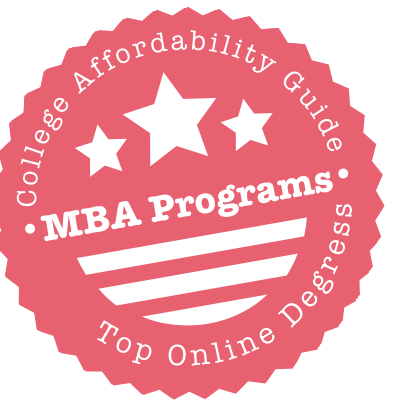 Scroll down to see the top not-for-profit colleges offering MBA programs online. Arizona State University's W.P. Carey School of Business offers a flexible online MBA program that requires students to make only one visit to campus, a mandatory orientation meeting before students begin the program. Students can enter the program in January or August, and all core courses are offered in a five-week format, with students taking one course at a time. Students have the option of choosing a concentration or of using their electives to gain in-depth knowledge of a business discipline. Available concentrations include finance, international business, marketing, and supply chain management. Courses cover topics such as financial accounting, statistics for managers, managerial finance, strategic management, and operations and supply management. The online MBA program at Arkansas State University gives students the option of taking additional classes to achieve a concentration in supply chain management. The MBA consists of nine core classes, totaling 27 credits, and two electives, for a total of 33 credits. However, students in the supply chain management concentration take four classes in the concentration along with the 27 core credits, for a total of 39 credits. Students who do not want the concentration may complete an internship or directed independent study in place of one of the electives. Electives may be selected from business or economics classes. Students without a business background must take up to seven foundation courses before beginning MBA work. The Harbert College of Business at Auburn University offers an online MBA. Auburn's online MBA is a preferred partner of the Boeing Learning Together program and features a lock-step curriculum that matches what on-campus students are learning. Students have the option of live-streaming lectures or watching them later. The 36-credit program has a mix of core business classes and electives. Students end the program with a capstone project where they work with classmates to provide consultation to a real business client. Students with an undergraduate degree in any subject are welcome to apply, and GMAT scores are required. New online MBA students who start in the fall semester have the option of attending new student orientation on campus. Babson University offers a Blended Learning MBA that combines online classes with face-to-face sessions on a Friday and Saturday approximately every seven weeks. The program uses a cohort format, with cohorts starting in March and October. The online components include asynchronous and real-time discussions and team-based projects. The program lasts for 21 months. Core courses cover topics such as entrepreneurship, financial reporting, talent management, strategy, data analysis, business law, marketing, and managerial economics. As a capstone course, student teams develop a business plan for a project based on an idea from their company or an entirely new project. Students in the blended program are not able to pursue a concentration, which is available to students attending MBA programs on campus. Students who earn an online MBA through Central Michigan University have an choice of five areas of emphasis: human resource management, logistics management, marketing, ERP using SAP software, and value-driven organization (VDO). Students in the MBA program are all required to complete 27 credits, or nine courses, in core classes as well as specific requirements for the emphasis area. Emphasis area requirements vary, from three classes for VOD, marketing, and human resource management to three classes and a two-week face-to-face SAP boot camp for students majoring in ERP. Students in the logistics management program take five classes in the emphasis area, including a logistics project, and complete an MBA project. The Citadel offers an MBA program that can be completed entirely online. The program is open to students with an undergraduate degree in any subject, and students with a bachelor's degree in business may be able to waive the six foundation courses that begin the program. Students without a business background must complete 54 credits, including six foundation courses, eight core courses, three electives, and a capstone project. The capstone can be either a strategic consulting experience or a class in global business strategy. Students can enter the program in the fall, spring, or summer semester. The Citadel designed the program to be flexible to meet the needs of working professionals. Cleveland State University offers an online accelerated MBA program that allows students to earn their degree in one year. The program requires students to complete between 31 and 38 credits, depending upon the specialization they choose. Some of the courses offered include marketing strategy, managerial accounting, management of innovation, and integrative business strategy. Students can enter the program at six points during the calendar year, and courses are offered in a mostly asynchronous format. Applicants with an undergraduate degree other than business may have to take prerequisite courses before beginning MBA work. Cleveland State University says that its accelerated online MBA is the first one-year MBA to be accredited by AASCB. Students seeking an MBA can complete East Carolina University's MBA program entirely online. The program is open both to students with an undergraduate business degree and students who did not study business as an undergrad. Students who do not have a business background will have to take up to seven foundation courses as part of the work for the degree. Beyond foundation courses, the program requires eight "common body of knowledge" classes that all MBA students must take and three electives. Once prerequisites are met, courses can be taken in any order, and students can set their own pace, taking between one and five classes per semester and even skipping a semester if they choose. Students seeking an online MBA from Fayetteville State University can pursue a concentration in entrepreneurship, finance, health care management, international business, management, marketing, or project management. To earn the degree, students must complete 27 credits in core MBA classes and nine to 12 credits for the concentration. Applicants who do not have an undergraduate degree in business or a related field may be required to take up to 15 credits in foundational courses. Students in online classes have the option of being online at a specific time to join live classes or they can log in at their convenience to view the lectures, which are all recorded and archived. Students have six years to complete requirements for the MBA. Students enrolled in the corporate MBA program at Florida International University can select from three different tracks to complete the online degree, depending upon how quickly they want to earn the degree and how much time they have to devote to their studies. With track A, students take one class per quarter and finish the degree in 30 months. With track B, they take one or two courses per quarter, depending upon their schedule, and may be able to complete the degree in less than two years. With Track C, students take two classes each quarter and complete the degree in 18 months. Students may enter the online program in the fall, spring or summer quarter. Students in the online MBA program at George Washington University have the option of selecting one or two concentrations to customize their degrees. Options are consulting, finance, global management, government contracts, information systems and technology management, and project management. The program can be completed entirely online, but GWU offers students optional opportunities for face-to-face learning, such as a four-day residency course in Washington, D.C. All classes include a one-hour-per-week live classroom session, which are held in the evening or on the weekend. The rest of the course content is offered on demand, and students can work through a learning unit at their own pace as long as they meet deadlines set by the instructor. Kennesaw State University's Coles College of Business offers the Georgia WebMBA to online students. Students are required to attend an on-campus, two-day orientation session when they begin the program. After that, all activities are conducted completely online. The program is designed for business professionals and the format relies heavily on virtual team-based learning. The program is structured in a cohort format, with all members of the class taking two courses each semester for five terms. Students take classes in the fall, spring, and summer terms and graduate in about 20 months. The program was ranked as the 29th Best Online MBA program in the U.S. in the 2015 rankings by U.S. News and World Report. Students in the online MBA program offered by Louisiana State University can earn their degree in as few as 18 months. The Flores Online MBA requires students to complete 14 courses. Each course is offered in a seven-week format, and most courses are offered twice per year. All MBA students must complete 11 core course and three MBA electives. Core courses cover topics such as managerial statistics, understanding financial information, cost management, marketing administration, and managing sources of competitive advantage. Available electives include business analytics, supply chain management, and project management. LSU's online MBA is designed for professionals who have at least five years of work experience. Mississippi State University offers two options for online MBA students. The university has a fully online MBA as well as an online program leading to an MBA in project management. The general MBA is a 30-credit program, with nine required classes and one elective. The project management program requires nine MBA courses and three industrial engineering courses that relate to project management. Both MBA programs require students to have prerequisite foundation courses in topics such as accounting, statistical analysis, and management. Many of the prerequisites are offered online. Students may enter the program any semester. Mississippi State's program was ranked #22 in the 2016 listing of online MBA programs by U.S. News & World Report. Missouri State offers an online MBA program that requires students to complete at least 33 credits, with 24 credits in core requirements. Students who do not have an undergraduate degree in business may be required to complete up to 18 credits in foundation courses. All of the foundation courses are offered at least once a year online. Core courses cover topics such as managerial accounting, financial management, organization strategy, and quantitative methods in decision making. Students must also take one seminar class and two electives, or they may write a thesis in place of the seminar and one elective. Students may use their electives to earn a graduate certificate in a topic such as cybersecurity, entrepreneurship, international business, or marketing. Students in the online MBA program offered by Ohio University can choose to concentrate in finance, health care, executive management or business analytics. Coursework is offered entirely online, and all MBA candidates must attend at least one professional development workshop at the OU campus. Students may attend up to three such workshops, which run from Friday through Sunday. The program requires students to complete 12 courses, with nine core courses and three courses in the concentration area. One of the required courses is a capstone project that involves an applied business experience. Students can complete the program in as little as two years by taking two courses per semester for six semesters. The Strome College of Business at Old Dominion University offers an online MBA program that can be completed in as few as 21 months. The program requires students to complete at least 40 credits, including 15 two-credit core classes covering topics ranging from statistics for managers to business law and ethics, and operations and supply chain management. Students also take two capstone classes, one in international business issues and one in business policy and strategy. Students may add on a graduate certificate in modeling, simulation and visualization; maritime, ports, and logistics management; or public procurement and contract management. Applicants with an undergraduate degree in a subject other than business must take five pre-core foundation classes before beginning MBA work. Pepperdine University's online MBA program was ranked among the top 15 best online MBA programs in the 2016 listings published by U.S. News & World Report. The online program is designed to meet the needs of working professionals and focuses on experience-driven learning. The part-time MBA program, offered through Pepperdine's Graziadio School of Business and Management, is flexible and allows students to select from four concentrations: finance, marketing, general management, and leadership and managing organizational change. Applicants for Pepperdine's part-time MBA programs must have a bachelor's degree from an accredited four-year school and they must have at least two years of work experience. Shippensburg University offers an MBA program, Ship MBA Online, that can be completed entirely online. The program has synchronous and asynchronous content, but all synchronous components are optional, so students have the flexibility to view class material on their own schedule. Classes are offered in an accelerated, eight-week session, allowing students to take two classes during a traditional semester. Students who take two courses each spring, summer, and fall semester can earn their degree in two years. The curriculum includes eight required courses and two electives. Students without a business background may have to take up to 16 credits in foundation courses. Ship MBA Online was 99th in U.S. News and World Report 2016 rankings of online MBA programs. Texas A&M offers an MBA program that can be completed entirely online. The program, which requires 30 to 48 credits, focuses on strategic leadership. Before entering the program, students must take six prerequisites, which may be waived if the studdent passed undergraduate courses in the subjects. Prerequisites include quantitative analysis, management, accounting, marketing, management economics, and finances for managers. The MBA has several components, including 18 credits in managerial classes, six credits in information analysis, and six credits in elective business courses. Students may select a minor in areas such as accounting, economics, financial planning, international business or marketing, but a minor is not required. The MBA program can be completed in two years. The University of Tennessee Chattanooga is the only member of the UT system to offer an MBA program that can be completed entirely online. Students can complete the professional MBA in as few as 16 to 24 months. Students have the option of pursing a professional general MBA or of earning a professional MBA with a concentration in business analytics. All students must complete eight core courses in topics such as quantitative methods, business law and ethics, organizational behavior, and strategic management. General MBA students also take classes in managing information systems, production and operations management, and entrepreneurship, while business analytics students take courses in data storage, reporting, and analysis. The UTC program has four start dates per year. The University of Texas Dallas offers a professional MBA that students can complete entirely online. Students have up to 72 months to complete the work for the online degree. Core courses cover topics such as marketing management, information technology for management, organizational behavior, business economics, managerial and financial accounting, and quantitative risk. The 53-credit program includes 24 credits in electives, and online students may have limited options in selecting electives because not all electives are offered online. Applicants to the program must meet a prerequisite for business calculus. Students in the online professional MBA program can transfer up to 12 semester hours of credit for graduate work completed at other universities within the last six years. The University of Colorado-Colorado Springs offers an online MBA program with no requirement for students to attend any sessions on campus. The program requires students to complete 36 credits of graduate level classes, although students without an undergraduate degree in business must take four additional foundation courses covering topics such as accounting, economics, and business statistics. All students must complete seven core courses in subjects including corporate financial management, information systems, marketing strategy, and leading and managing in changing times. Other requirements are an international perspectives course and four courses in an area of emphasis. Candidates can choose from several areas of emphasis: finance, health care administration, innovation management, international business, management, marketing, or project management. The University of Colorado at Denver offers a professional MBA program that students can take completely online with no requirement to attend sessions on campus. Students can tailor the flexible program to their career goals and needs. Several specializations can be completed entirely online as part of the MBA program, including finance, enterprise technology management, information systems, and managing for sustainability. To earn the MBA, candidates must complete 48 credits, including 30 credits in required core classes, 15 credits in electives, and three credits in international business. Required courses cover topics such as data analysis, accounting, information systems strategy, and legal and ethical environment. The program uses case studies, computer simulations, group programs and interactions with Colorado businesses. The University of Dallas has an MBA program that can be completed entirely online. The basic MBA is a 30-credit program that requires students to complete 10 classes. Students can also add a concentration by taking four more classes for a total of 42 credits. Concentrations are available in accounting, business analytics, finance, cybersecurity, information and technology management, and global business. The core classes for the MBA cover topics such as accounting for managers, business analytics, effective leadership, managing complex organizations, and value-based marketing. All students take part in a capstone experience in their last semester where they work in teams with a real consulting client, preparing a proposal, conducting research, and presenting findings and recommendations to the client. The Alfred Lerner College of Business and Economics at the University of Delaware has an online MBA program that students can complete in as few as 16 months. Students may choose to concentrate in finance or international business, or they may concentrate in both areas. The classes are offered in a seven-week format, and students have the flexibility to study where and when they want. Content for classes includes on-demand video lectures, real-life case studies, interactive assignments, and online interaction between students and instructors. The program is open to students with any undergraduate degree. Online MBA students are assigned a personal career coach to help them prepare a resume and search for a job. Students in the online Global MBA program offered by the University of Houston-Victoria have a choice of eight concentrations: accounting, economic development, entrepreneurship, finance, general business, human resource management, management, or marketing. Students who have a bachelor's degree in accounting can qualify for the CPA exam by earning the 30-credit degree. The program is designed to be flexible and can be completed entirely online. While recent business graduates can complete the program with 30 credits, students who do not have an undergraduate business degree may need up to 54 credits. The program includes six core courses and four courses in the area of concentration. The program is open to full-time and part-time students. The University of Massachusetts at Lowell has an online MBA program that allows students to choose a concentration in finance, accounting, or information technology. Students also have the option of taking a general course of study and selecting electives that reflect their area of interest. Students may complete the entire program online with no requirements to attend sessions on campus. The MBA program begins with six foundation courses - such as financial accounting, financial analysis, marketing, organizational behavior, and operations fundamentals - which may be waived for students who took similar courses as undergraduates. All MBA students must take seven required core courses and three electives or concentration classes. Depending upon foundation classes needed, students must complete between 30 and 42 credits. The Fogelman College of Business and Economics at the University of Memphis offers an online MBA program designed for busy professionals. The program requires students to complete 33 credits, and there are no prerequisite courses for the core curriculum. Instruction is a combination of synchronous live sessions and on-demand asynchronous content. The coursework encourages student collaboration and discussion and utilizes content and case studies from the university's business partners. Students in the program do not select a concentration. Students may enter the program in the fall, spring, or summer semester, and most students can complete the program in two years. The program is accredited by the AACSB. Students earning an online MBA through the University of Nebraska-Lincoln can choose from five areas of specialization: business analytics, finance, supply chain management, international business, or marketing. The MBA program requires students to complete 48 credits, with the first year curriculum focused on the basics of business. The curriculum is also designed so that classes are cross functional, meaning students will use skills learned in one class to develop solutions in another class. Applicants to the program should have undergraduate courses in statistics and calculus, although they can start the program before meeting those requirements. Classes are delivered in an asynchronous format and are entirely online. Students have up to 10 years to finish work for the degree. The University of North Carolina's Kenan-Flagler School of Business refers to its online MBA program as MBA@UNC. The program provides students with flexibility because they can attend the live weekly online classes from anywhere they have internet access. The curriculum also includes self-paced lectures, video content, interactive case studies, and projects where classmates collaborate virtually. MBA@UNC focuses on developing leadership skills and gives students opportunities such as executive coaching, consulting, self-assessments, and case competitions. The program also offers a global perspective and attracts students from around the world. MBA students are required to attend at least two global immersion weekends - held four times a year in a different city each quarter - during their time in the program. Western Kentucky University offers a 33-credit MBA program that can be completed entirely online. The curriculum includes nine required courses and two electives. Required courses cover topics such as organizational theory, applied microeconomic theory, data modeling, information technology and strategy, managerial accounting, and advanced marketing. In their final semester, MBA candidates take a capstone course in strategic business concepts and applications. Applicants who do not have an academic background in business must demonstrate proficiency in eight key areas by completing preparatory classes, foundation modules, or passing proficiency exams. Students may enter the online MBA program in the fall or spring semester, and they may enter as full-time or part-time students. Online MBA degrees are usually targeted towards students interested in part-time learning. Thankfully, over the past five years, these offerings have grown in quality and scope. Whatever your interest, there’s probably an online MBA degree out there to suit your needs. 100% Online: All courses are offered through the web. You never have to set physical foot on the university’s campus. Hybrid: This popular format combines online courses with in-person internships, residencies and/or a variety of “immersion” activities. As always, make sure your online program is properly accredited. Check to see if it has both regional and AACSB accreditation. If it doesn’t have AACSB or a similar business accreditation, contact the university and ask why. You should also look into whether the program is affiliated with the business school or the distance learning division. Business schools, as a rule, have much more credibility in the marketplace. Does the online MBA have the same faculty as the bricks and mortar version? Is the curriculum the same for both? If not, why not? Wondering if online is right for you? Ask the school if you can “sit in” on a class or view a course sample. You can even get your feet wet by taking a free MBA MOOC (“Massive Open Online Course”) from a major university. Check out the offerings on Coursera, edX and Udacity. If you’re intent on an 100% online program (instead of a hybrid format), search for schools that are willing to organize internships and work-study programs in your local area. On-the-ground business experience is vital for MBA graduates. The jury is still out on whether having an online MBA degree harms your future job prospects. Once upon a time, no company would touch you. Today, advances in technology and the willingness of prestigious universities to offer distance learning have changed the game. As we talked about in our section on What to Look for in an MBA Program, the key to an MBA degree is reputation. The name of your school may be much more important to employers than the format of your program. An online degree with AACSB accreditation from a top-tier school is going to trump a traditional MBA from an obscure one.